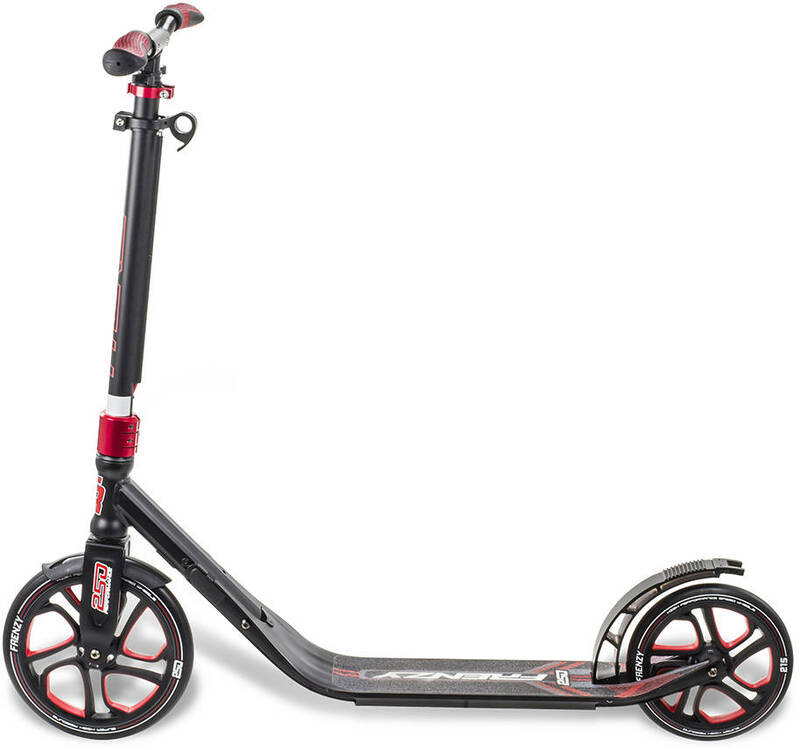 The 250mm front wheel on the FR250 from Frenzy is big and makes this recreational scooter very comfortable to ride on, even for long cruises. 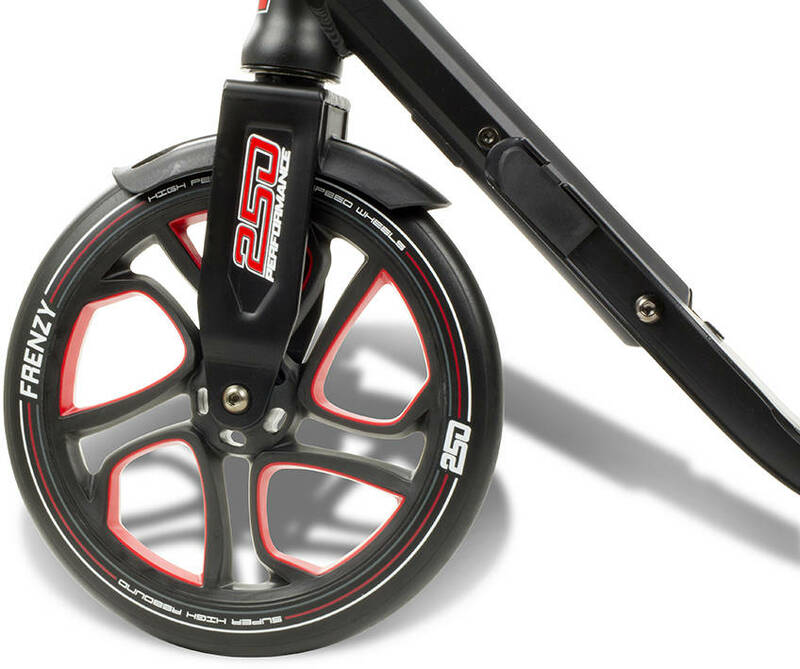 It incorporates an easy-to-use folding mechanism that utilizes a trolley mode. 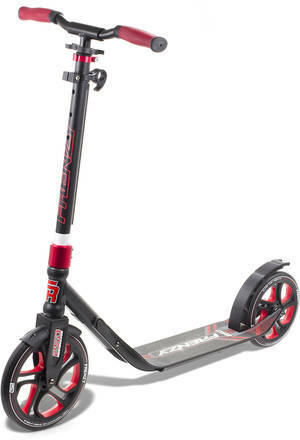 This makes it very easy to carry it around whilst not riding it. 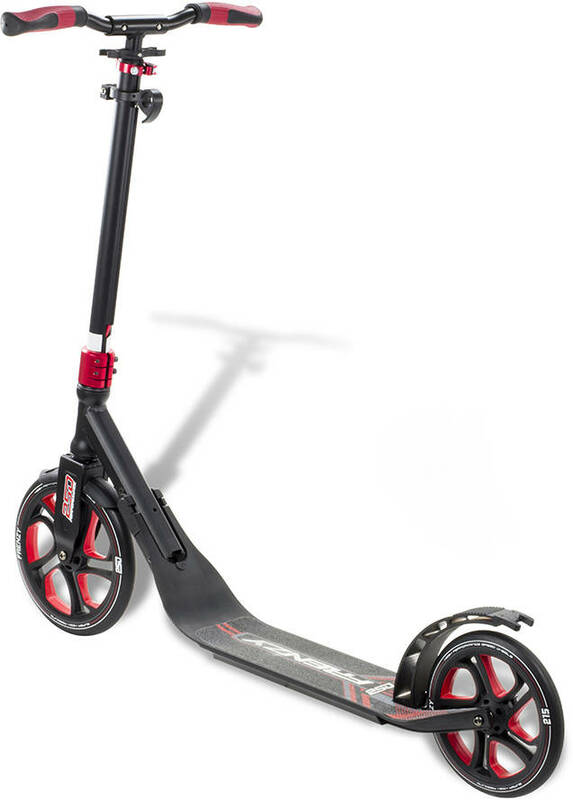 It has a 215mm rear wheel and large rear foot-brake. 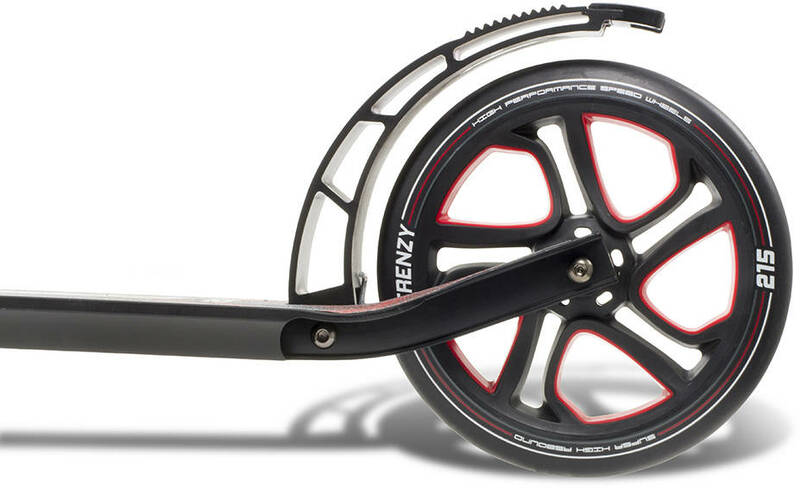 Frenzy is designed by the same people that for years have brought you the Slamm pro scooters.